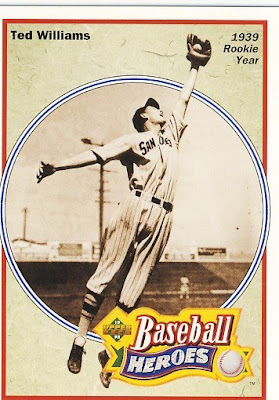 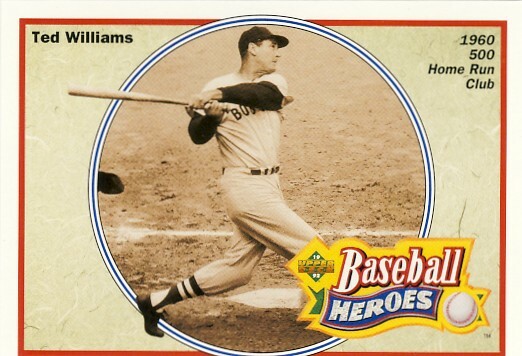 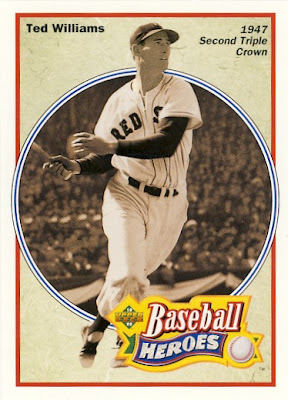 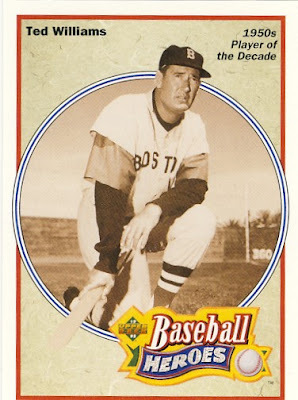 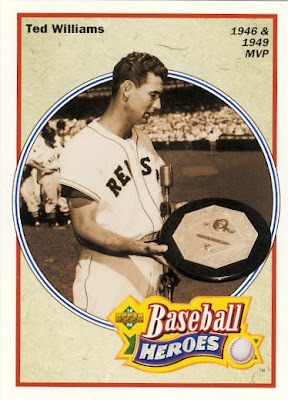 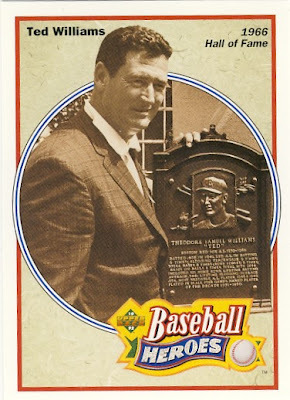 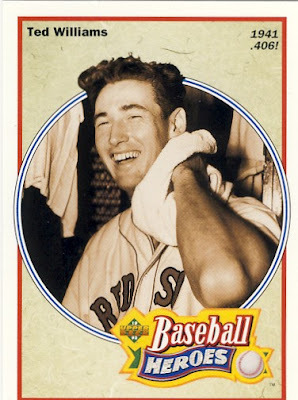 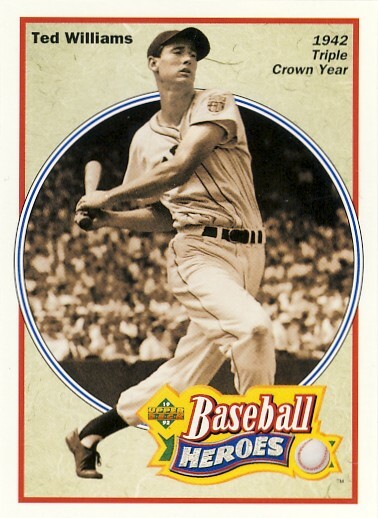 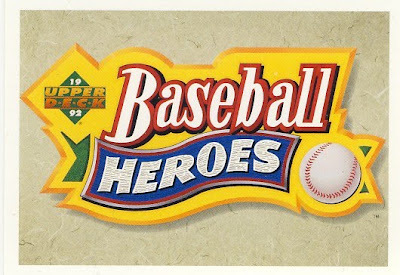 Last week I highlighted Nolan Ryan's Baseball Heroes set and today we move onto Ted Williams' head...I mean set. 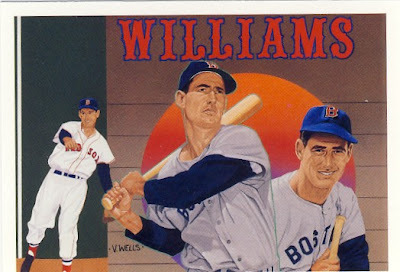 When you search "Ted Williams" the first entry is for that damn homeless guy with an interesting voice! How is that possible that it comes up before Teddy Baseball's wikipedia entry? 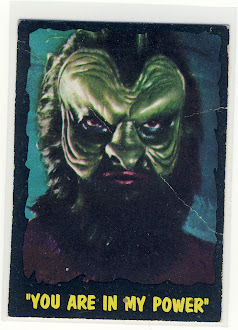 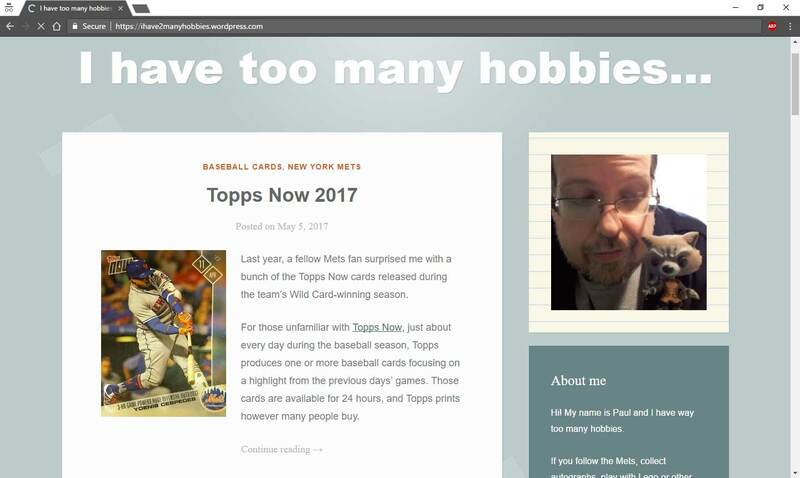 And we don't miss Upper Deck, why? 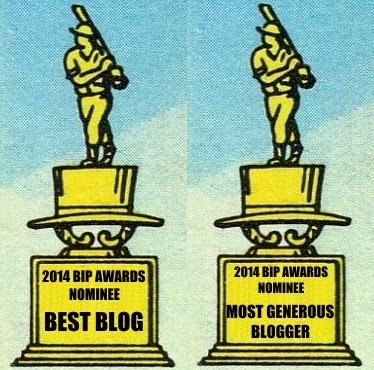 I sure do.